A two-day long Golden Jubilee and Reunion programme of BUET Sher-E- Bangla Hall was held at the Hall and BUET premises. The function was inaugurated on Thursday at the BUET Central Auditorium at 3:30 pm organised by BUET Sher-e- Bangla Hall Alumni Association. 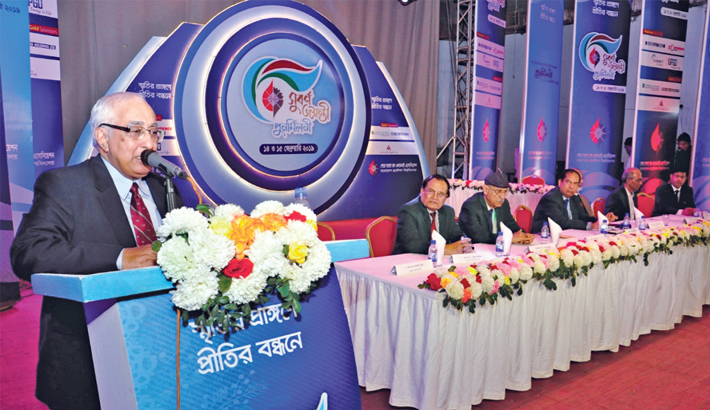 Professor Dr. Jamilur Reza Choudhury, National Professor and President of BUET Alumni Association attended the programme as Chief Guest while Professor Dr. Jasim Uzzaman former provost of the hall attended the programme as Special Guest. Among others Engineer Md. Fazlul Haque, President of the BUET Sher-e bangle hall Alumni Association, Dr. Maglub Al Nur, Secretary General, Convenor Engineer S A Abul Hayat, Joint convener and provost of Sher-e-Bangla Hall Professor Dr. Md. Zafar Iqbal Khan, Convener of the reception council A K M Enayet Ullah were also present at the occasion.